The Lying Opposites on an Exercise Ball is a great exercise for building rotational stability in your core, enabling a powerful and efficient golf swing and helping to prevent injury. The Lying Opposites on an Exercise Ball forms part of the Golf Stability series of innovative and dynamic exercises that will build stability in your joints and core for better consistency and ball-striking. This exercise requires an exercise ball, often referred to as a Swiss ball, and also known as a balance ball, fitness ball, gym ball, stability ball, physioball, Swedish ball, therapy ball, or yoga ball. Figure 1. Lying Opposites on an Exercise Ball Video. Start by lying on your tummy on top of an exercise ball, with your hands and feet touching the floor for support. In one fluid motion, raise and extend your right arm and left leg towards the sky, while extending your back, until they are parallel to the floor. Gently return to the starting position and repeat with your left arm and right leg. Keep your arms and legs straight, and your head aligned with your spine. Keep your torso solid and your abdominal muscles engaged throughout this movement. You should feel it working your glutes, shoulders and back. 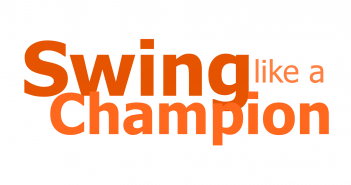 There are a number of other golf-specific injury prevention exercises in the Golf Loopy Train like a Champion System. 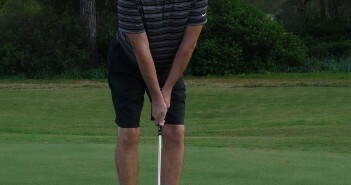 The Role of the Hip Adductors in the Golf Swing.